Today (January 5th), was the first official day of CES 2017 but there were announcements made before today. You can read more about them: CES Unveiled 2017, CES 2017 Day Zero (Press Day). 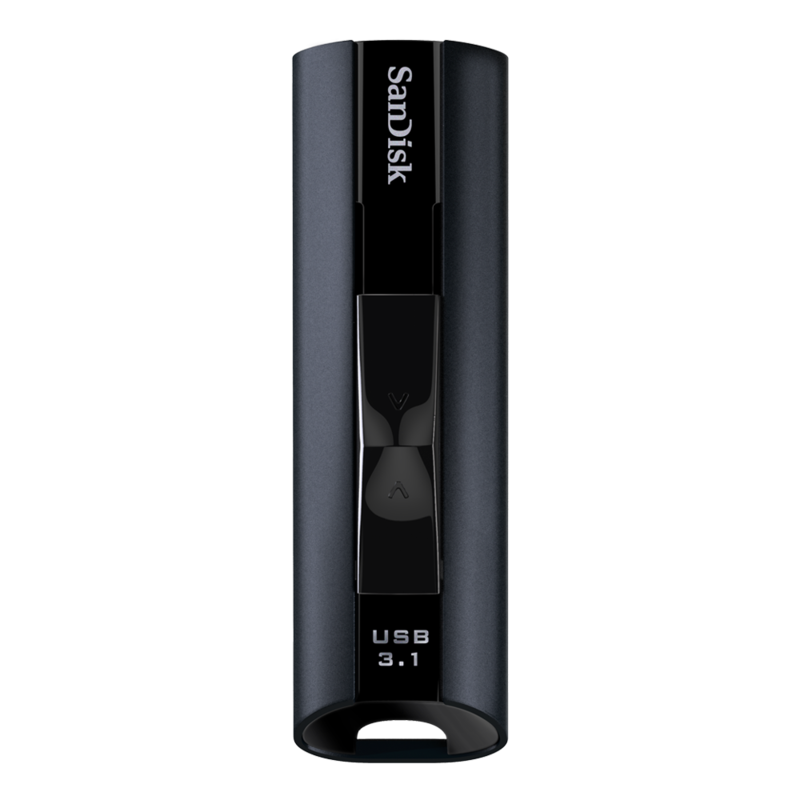 The first announcement that SanDisk made at CES 2017 was a new high-performance USB flash drive called the SanDisk Extreme Pro USB 3.1 Solid State Flash Drive which is capable of read speeds up to 420MB/s and write speeds up to 380MB/s. With those fast speeds, you can transfer a full-length 4K video in less than 15 seconds. 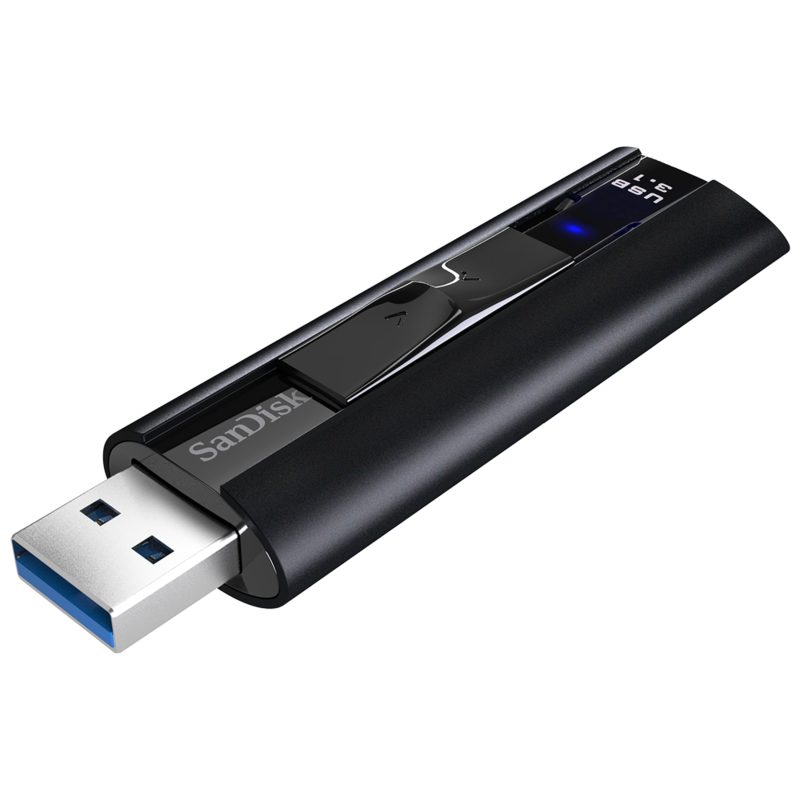 The new flash drive connects to computers using the standard USB-A connection and it will come in one storage capacity, 256GB. It will be available later this month for $179.99 USD. The other announcement that SanDisk made was the SanDisk Ultra MicroSDXC UHS-I card with the SD Association’s SD 5.1 specifications. In addition to fast transfer speeds of up to 95MB/s, the new microSD can help ensure that is can open and run apps smoothly while also providing fast access to media such as photos and videos that are also stored on the card. The new SanDisk Ultra microSD card with A1 with retail for $199 USD and ship later this month. 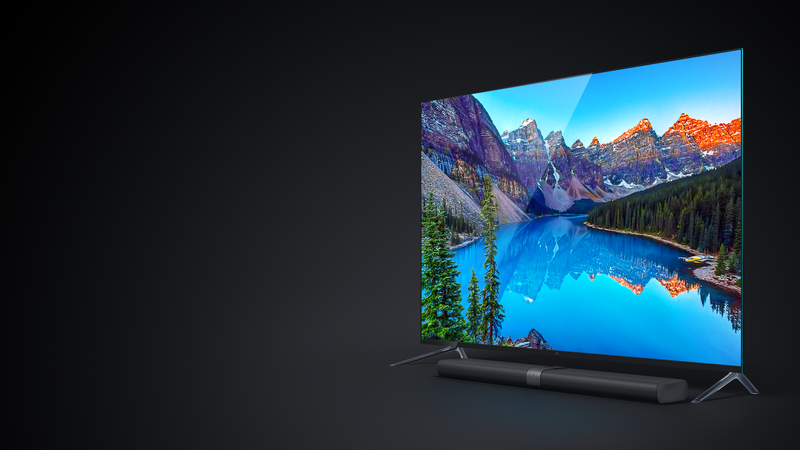 Xiaomi has a new version of their Mi TV with the Mi TV 4. It is only 4.9mm thin and has a frameless metal body. 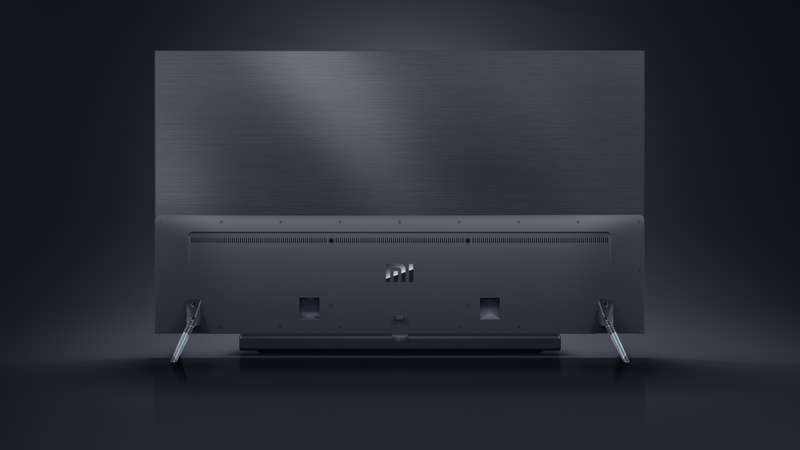 The Mi TV 4 consists of two parts the 4K display and the Mi TV Bar which has a motherboard and has a sound system that supports Dolby Atmos sound. The Mi TV 4 will available later this year in China and should be under $2000 USD. There will also be three screen sizes, 49-inches, 55-inches and 65-inches. Razer has been known to show off some wild computer concepts at CES and this year is no different. 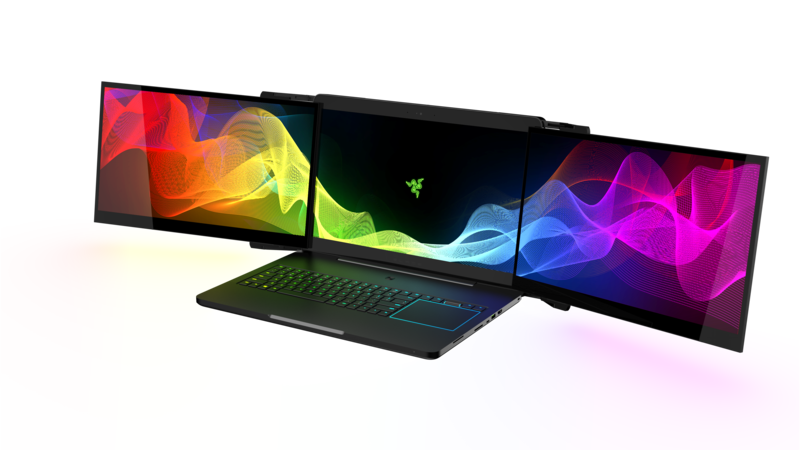 Razer has unveiled Project Valerie at CES 2017, which is the world’s first concept design to incorporate a portable multi-monitor gaming setup. The gaming laptop has three built-in monitors that are 17.3-inches each and are 4K IGZO displays with NVIDIA G-SYNC, to help create the smoothest possible framerates and expansive 180-degree NVIDIA Surround View gaming. Gamers can expect 100% Adobe RGB colour accuracy. Each of the displays slide out from the side of the main display and easily adjusts into place, so it’s quick and easy to set up. The whole laptop is made from a unibody CNC aluminum chassis and is only 1.5-inches thick and weighs less than 12 pounds. Project Valerie is also equipped with NVIDIA GeForce GTX 1080, so it meets the requirements of the HTC Vive and Oculus Rift. 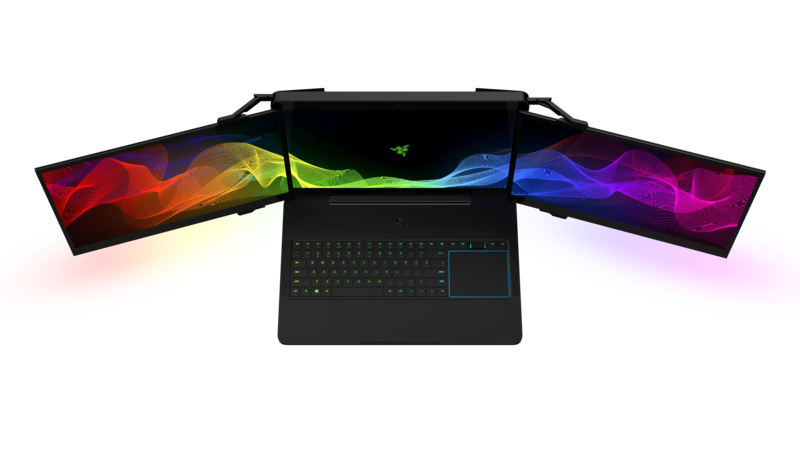 As of right now, Project Valerie is just a concept and there’s no word on whether or not we’ll see this in an upcoming Razer laptop (but chances are we will). Razer has a habit of showing off these concepts and then eventually incorporating them into their machines. 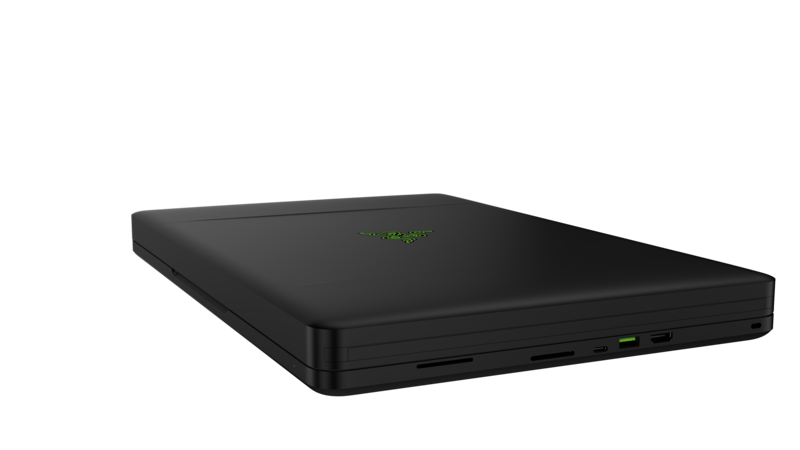 Razer also announced Project Ariana which is meant to go alongside your existing setup of Razer products. The project uses the company’s Chroma platform to cover your whole room in your favourite games. The project is meant to provide some ambience for your gaming experience. The project uses a projector with a 155-degree fisheye lens to help wrap your game around you. 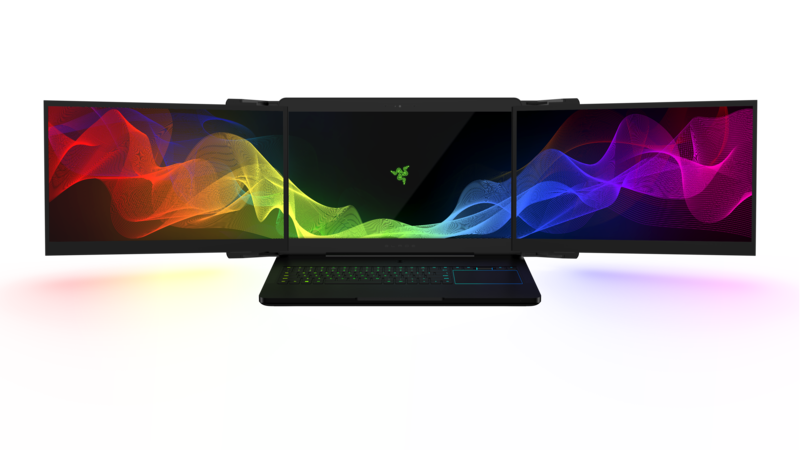 In addition, Razer is opening up their Chroma platform to 3rd parties and has announced 9 new partners including Lenovo, NZXT, Antec, Lian Li, Wicked Lasers and Nanoleaf. 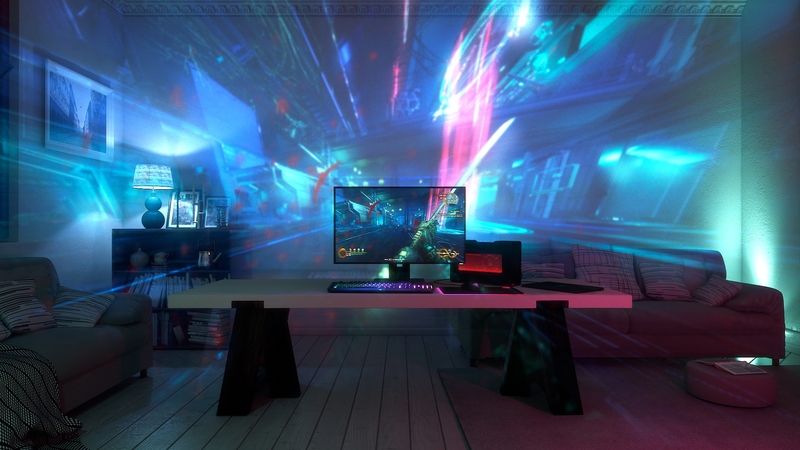 Razer is also looking into creating more immersive lighting experiences with a partnership with Philips Lighting. 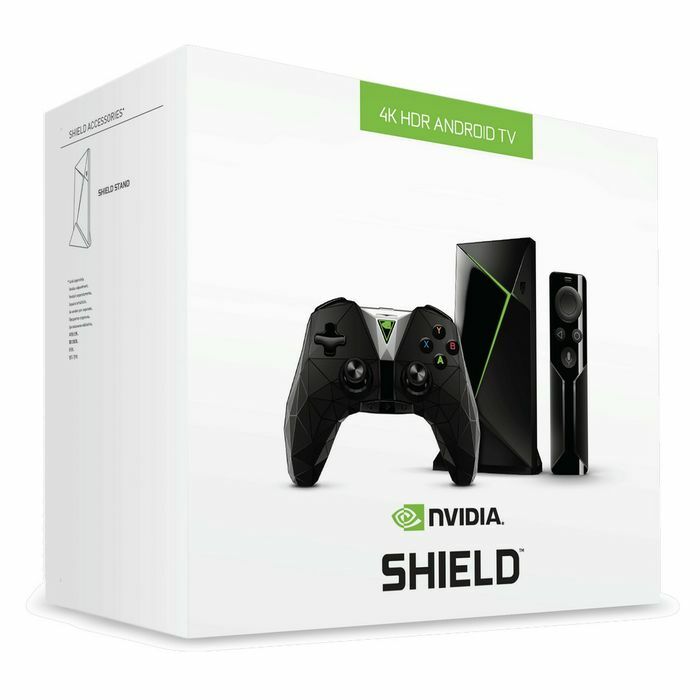 NVIDIA had a few announcements, the first being a new version of their Android TV set top box, the Shield TV. The new model is 40% smaller than the original while the Pro model is the same size as the previous Shield TV but both still have the same Tegra X1 processor inside and 3GB of RAM and running Android 7.0. Both have standard HDMI with 4K and HDR support, gigabit ethernet, two standard USB 3.0 ports and a microSD card slot. There is also a newly redesigned controller that has a low polygon look and feel. It also was designed with hands-free voice control in mind. Google is bringing the Assistant to Android TV, so that means you’ll be able to use “Ok Google” to talk to your Shield TV. As of this writing, the Google Assistant for Android TV isn’t ready just yet, it will come later on in a software update later this month. Both models of the new Shield TV will come with a remote which will work hands-free as well. The new Shield TV models are available for pre-order now and will ship in Canada, the US and select European regions later this month for $199 USD for the 16GB model and $299 USD for the 500GB Pro model. The standard 16GB model will come with a controller and remote while the 5ooGB Pro will come with a controller, and a remote with headphone jack. 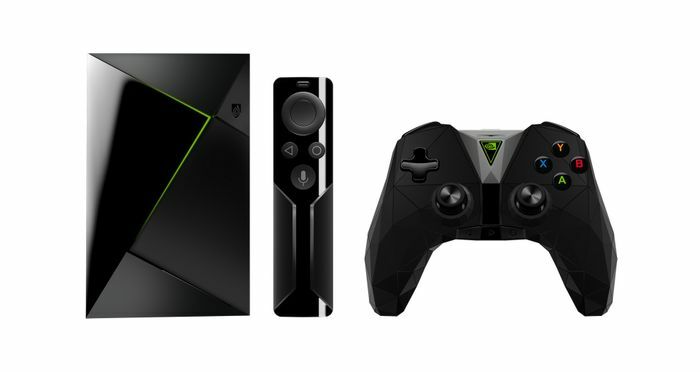 In addition to the new Shield TV, Nvidia also announced the Shield Spot which is a separate Wi-Fi controller that can talk to connected home stuff such as Nest Thermostat and has microphones so you can talk to the Google Assistant throughout your home. The Shield Spot will sell for $49.99 USD. Nvidia will also being bringing their GeForce Now game streaming service to standard PCs running Windows and Macs as well. Nvidia is also partnering with Ubisoft to bring some of their titles to the service. GeForce Now will also have a new pricing structure of $25 USD for 20 hours of play where as before you would have to pay $7.99 per month to access a whole catalog of older games and then pay separately for newer titles. The new system and expansion to more Windows machines and Macs will happen sometime in March. Yes, you read that correctly, Ford is partnering with Amazon to bring Alexa to the car. For example, you can open smart garage doors, control the lights in your home, and so forth. General search functionality and navigation queries are also supported via Alexa. You could ask Alexa to add milk or batteries to your shopping list without ever picking up a pen, all the driver has to do to access Alexa in their car is to press the voice button on the steering wheel. For Ford plug-in electric vehicle owners, you’ll be able to remotely start/stop the engine, lock/unlock the doors, check fuel levels and more while using your Echo at home. Ford Focus Electric, Fusion Energi and C-MAX Energi owners will be first to access the new home-to-car capability using MyFord® Mobile technology. Ford is working on adding Alexa home-to-car integration to their other vehicles in the near future. Montreal-based wearable company, Mighty Cast has announced a second gen version of their modular smart band, the Nex Evolution. The new bands adds a number of new features include “When/Do” platform that is accessible via their Nex app, so a user can set different actions to control their other smart home devices or even just control music playback on their phone. The Nex Evolution doesn’t have a traditional screen but instead it has things called Mods that have the ability to light up a different colour or indicate a certain notification. The colours of the Mods can be combined to form certain messages via Mighty Cast’s “When/Do” platform. 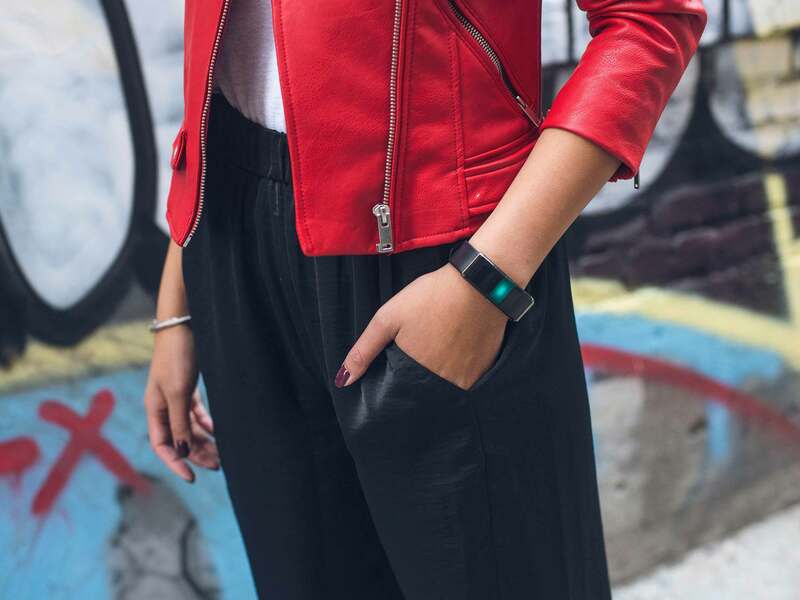 The new band also has a 3-axis accelerometer and can track things like steps, calories and distance. The battery should last about 3 days and the band is IPX7 water-resistant. 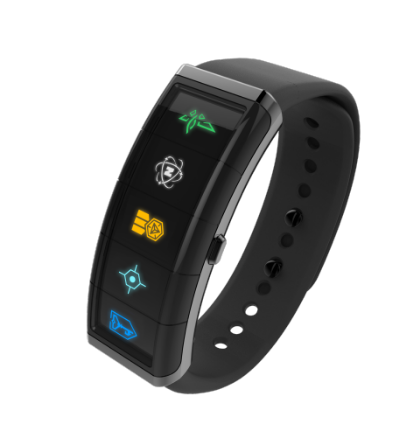 The company is also working with Niantic Labs on a Ingress Mod Band that has patterns that are specific to the game. Ingress players will be able to receive special in-game transmissions and unique perks while using the band. For those unfamiliar with Ingress, it is similar to Pokemon Go (but has been around for much longer) and relies on players going into the real-world and finding specific locations to earn points. The Nex Evolution will retail for $79 USD while the Ingress Mod Band’s pricing has yet to be announced but both will be released in February. Alexa isn’t the only thing being put into cars, Microsoft is partnering with Nissan to bring their voice assistant, Cortana into select Nissan vehicles. 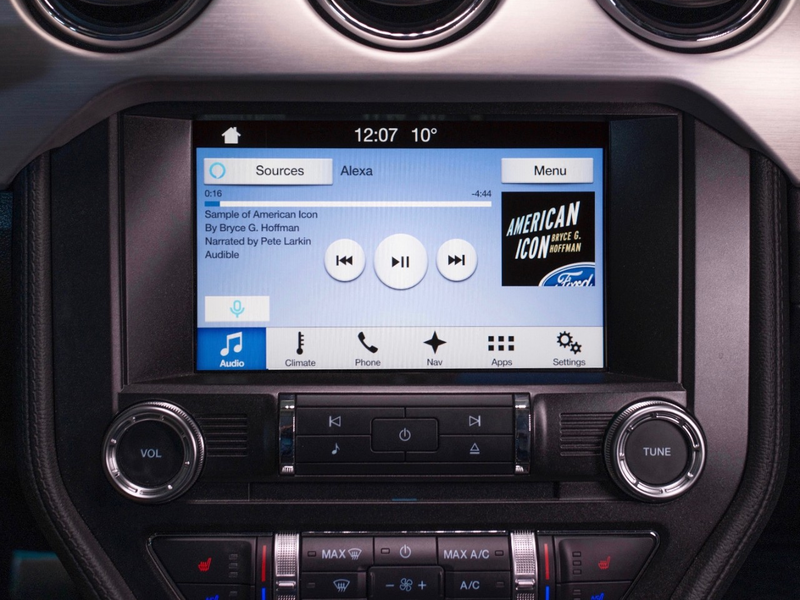 Cortana will be built into the car’s software without requiring a mobile device to use it. Cortana can be used to ask contextual questions like whether she should use the car’s auto-park system or what the traffic is like or even make notes. Cortana can talk to a driver using natural language. Nissan hasn’t said which of their vehicles will be getting Cortana or even when, as of right now, it seems more as a proof of concept. Even though the Huawei Mate 9 was announced back in November for Asia, the Middle East and Europe, Huawei now has details on the Mate 9’s US availability. The phone will be available on January 6th. 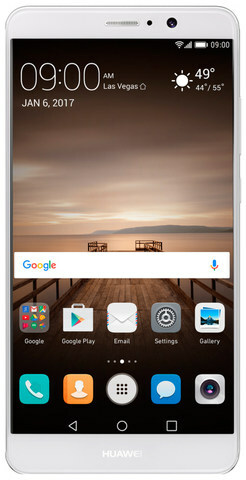 The Mate 9 has a 5.9-inch 1080p IPS LCD display with a 4000mAh battery that should last about 2 days on a single charge and can charge fast with Huawei’s SuperCharge technology and you’ll get a full day’s charge within 20 minutes. Inside, you’ll also find Huawei’s Kirin 960 processor with the ARM Cortex-A73/A53 Octa-core CPU and Mali G71 GPU and 4GB of RAM and 64 of internal storage. For the camera, you’ll find evidence of Huawei’s partnership with Leica which is made up of a 12-megapixel RGB sensor and a 20-megapixel monochrome sensor. The Mate 9 will be running Android 7.0 Nougat with Huawei’s EMUI 5.0 on top, the US version of the Mate 9 will also have Amazon Alexa integration via a pre-installed app. You’ll be able to ask questions, set alarms, manage to-do and shopping lists, check traffic, play music and control your smart home. The Mate 9 is already available to purchase now from Amazon, Best Buy, Newegg and B&H for $599 USD and comes in Space Gray and Moonlight Silver.